Joseph Campbell, arguably the greatest mythologist of the twentieth century, was certainly one of our greatest storytellers. This masterfully crafted book interweaves conversations between Campbell and some of the people he inspired, including poet Robert Bly, anthropologist Angeles Arrien, filmmaker David Kennard, Doors drummer John Densmore, psychiatric pioneer Stanislov Grof, Nobel laureate Roger Guillemen, and others. Campbell reflects on subjects ranging from the origins and functions of myth, the role of the artist, and the need for ritual to the ordeals of love and romance. With poetry and humor, Campbell recounts his own quest and conveys the excitement of his lifelong exploration of our mythic traditions, what he called "the one great story of mankind." 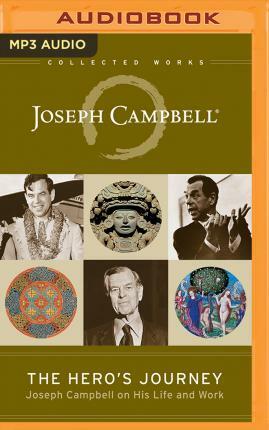 Cover photographs of Joseph Campbell (c) Joseph Campbell Foundation (jcf.org) and used with permission.